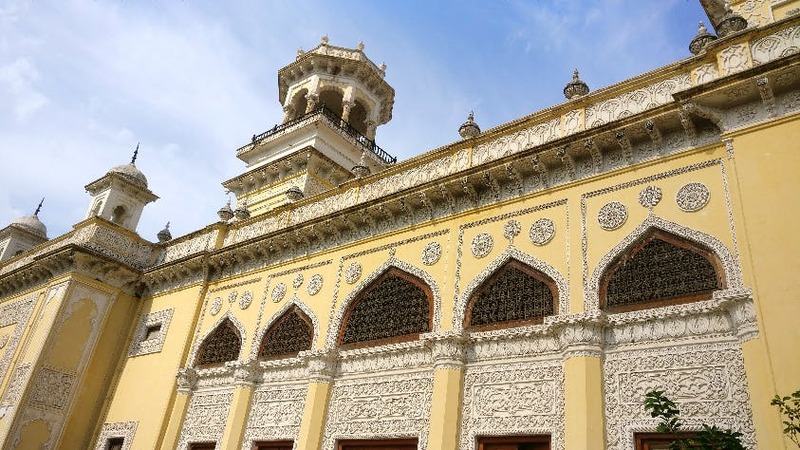 Chowmahallah Palace reminds you that Hyderabad was where the majestic Nizams ruled for years. It is situated in a small lane near Charminar. You will have to walk about 500 metres from Charminar to reach here. The gate is so non-conspicuous you will not at all imagine how stunning it is from the inside. They charge an entry fee of INR 50 per person. The palace is filled with breathtaking chandeliers and carvings in every room. It has small palaces around the main structure. It also hosts an art gallery, weapons gallery and crockery gallery. All of these things are surprisingly in very good condition. For car lovers, they have a showroom or amazingly maintained vintage cars. The grounds are lovely and practically invite you to just sit and image how the royalty must have lived. They charge an extra INR 50 for taking photos even on mobiles. Seems a little greedy. To reach here, walk through the bazaar lane next to Charminar. You can also shop for some lovely bangles and dress materials on the way. It's a must-visit for someone who loves palaces.